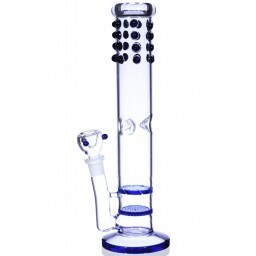 The Abomination - 14” Clear and Black bong with Ripper Tubes to a Honeycomb Perc - Water Pipes -The Greatest Online Smoke Shop! 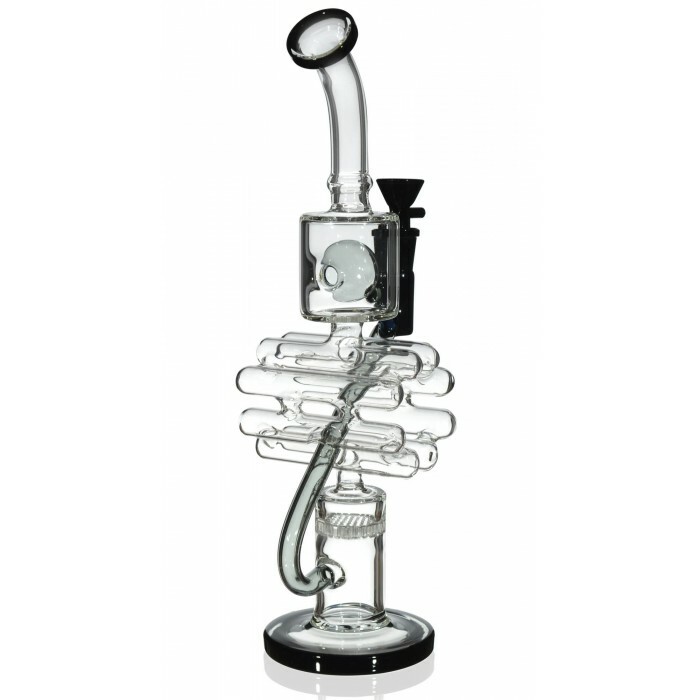 Honeycomb perc provides the first level of cooling and filtration in the bottom chamber. Connected Ripper Tubes form a circle at the center of the piece, connecting the 2 chambers. 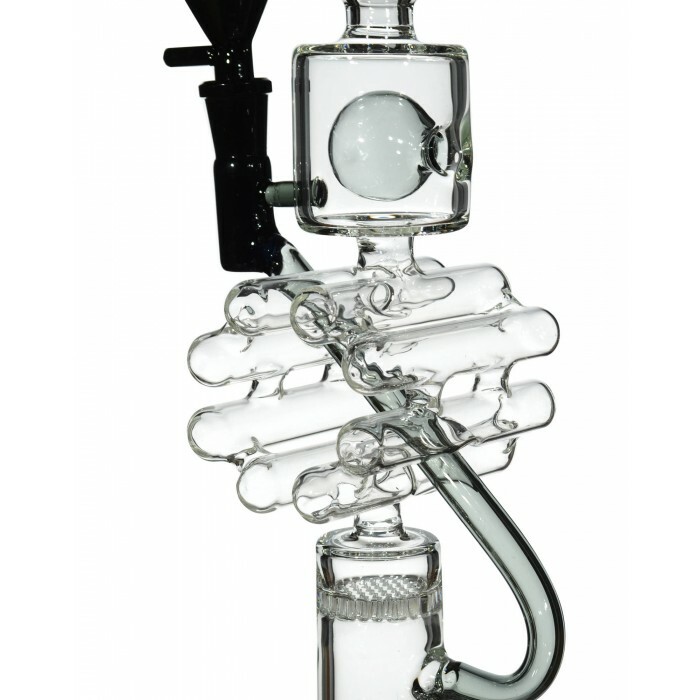 The top chamber has an orb perc, to further filter and cool the smoke. 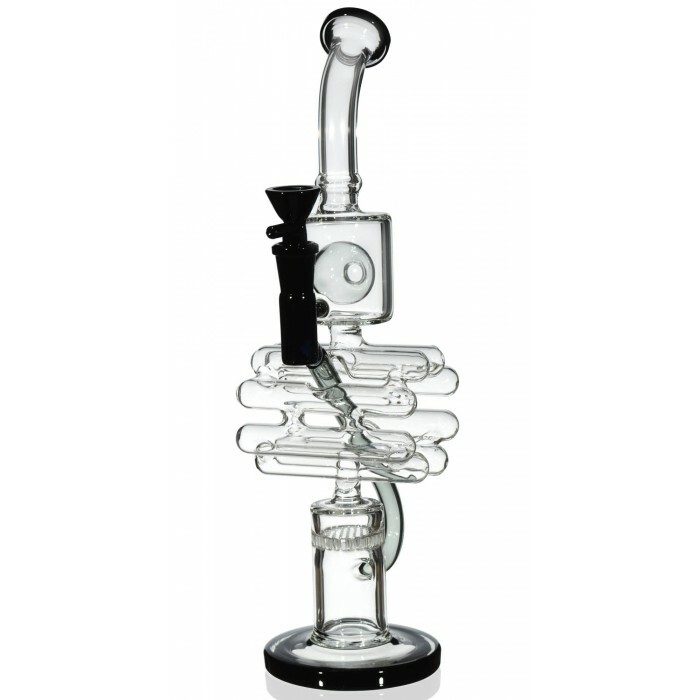 Long intricate downstem extends from the bottom of the bowl, diagonally across the center of the piece, and then arches back to connect with the bottom chamber. 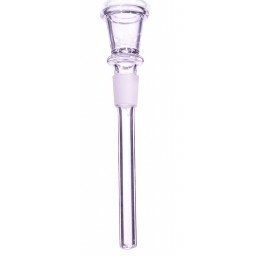 Thick mouthpiece adds to comfort while smoking. 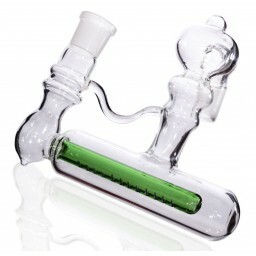 Mostly clear, so you can watch the smoke move through the piece. 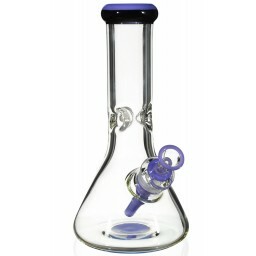 Mouthpiece and bowl are black to add to the style of the bong. 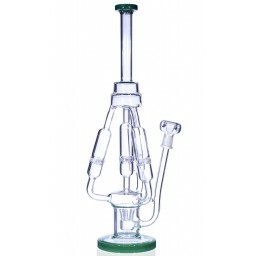 Two 2” chambers allow for large hits. There’s smoke, and then there’s ultra-filtered, perfectly cooled, it-doesn’t-get-better-than-this smoke. 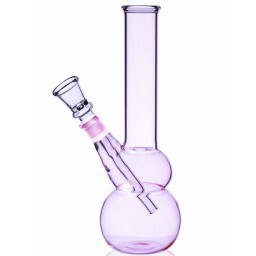 It is really hard to come by a bong that was invented purely to provide the highest quality smoke, but here we are. 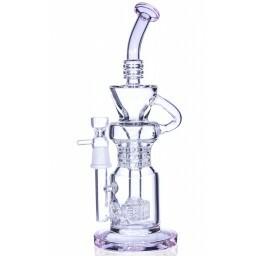 Perc Perfection is that bong. Let’s start at the beginning. 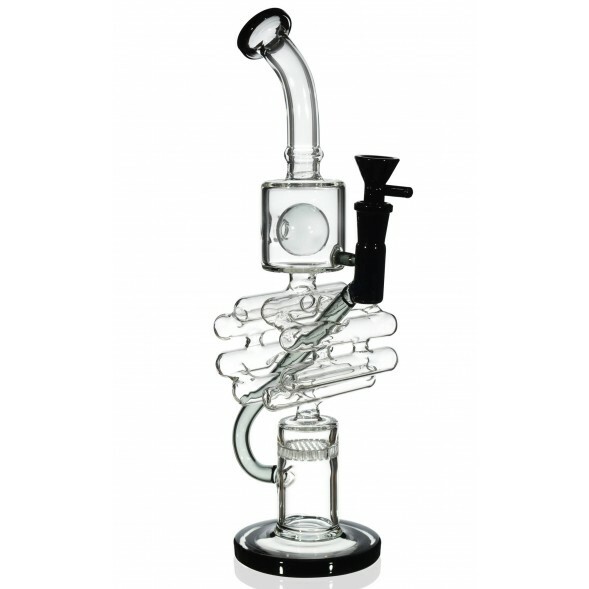 As you light the bowl, accented black to compliment the clear body of the piece, the smoke travels through the inventive downstem. 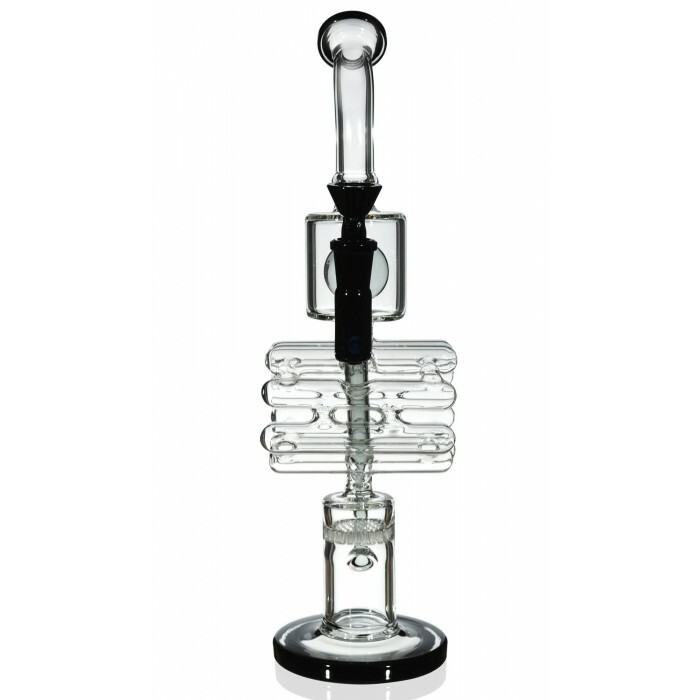 The smoke moves down along the diagonal downstem where it reaches the bottom of the piece, the first chamber. 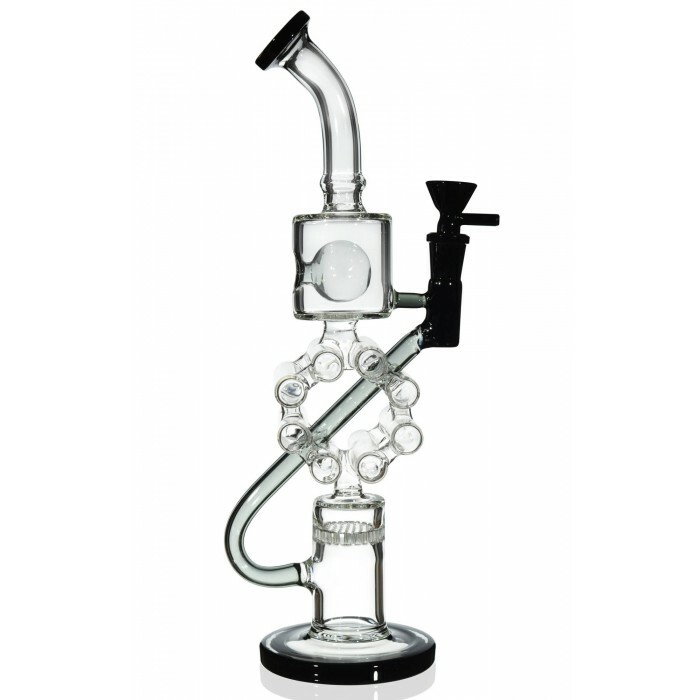 There, it gets its first round of filtration and cooling in the form of a honeycomb perc, that creates so many bubbles at once. 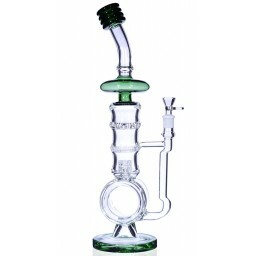 The smoke is then pulled upward into the unique center of the bong. The center is made up of a circle of connected tubes, which are so fun to watch fill with smoke you could call them cinematic. The smoke can enter through the left or right side of this circle, as it moves into the top chamber. At the top chamber, the smoke is filtered again, this time by an orb perc. By the time the smoke leaves this chamber, it is as smooth and cooled as you could want it to be. Then, it is just a quick shot up through the bent neck. Luckily, the entire body of the pipe is clear, so this whole process can be watched and enjoyed over and over again. Hint: it’s even more fun to watch after a few rips!  The neck is slightly bent for extra comfort and ease when smoking. 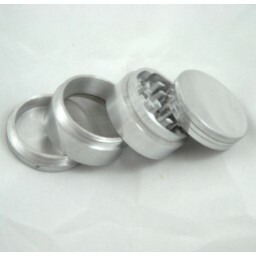 The mouthpiece is made extra thick as well, so that your lips can rest easy as they take in the smoke. 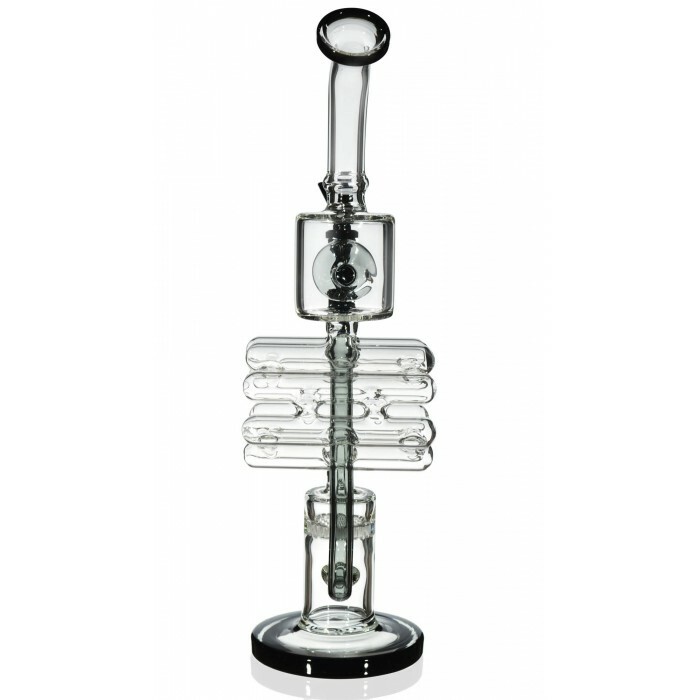 At 14”, with two 2” chambers, you can count on wonderful giant hits. 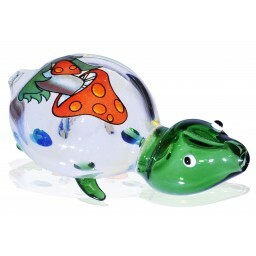 Plus, it comes with a 14mm bowl that has a handle, so you’re ready to smoke right away. 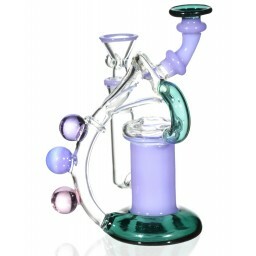 You have two options, a regular bong with regular smoke, or one of the coolest bongs around and the best smoke. It is up to you.